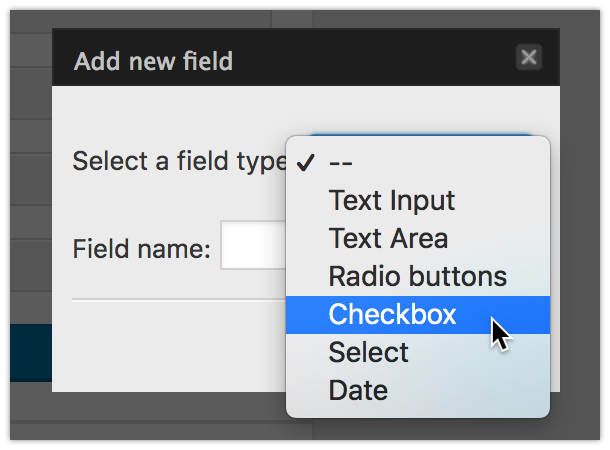 You can simply add a checkbox to your MailPoet form when creating a new form or when editing an existing one by going to MailPoet > Forms page. 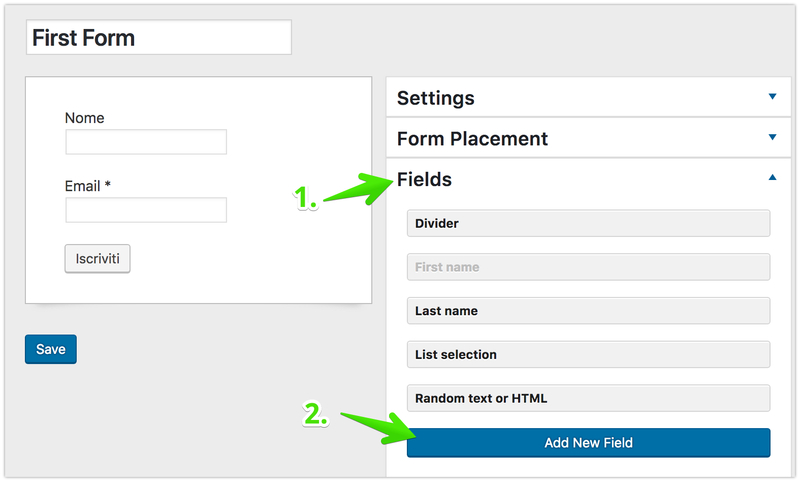 And then you can fill the name with the text you want to. 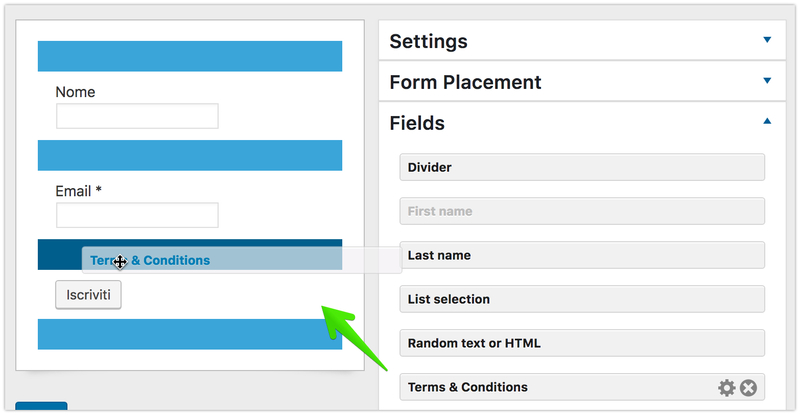 A good idea is to use it to ask for permissions, especially when considering GDPR guidelines. 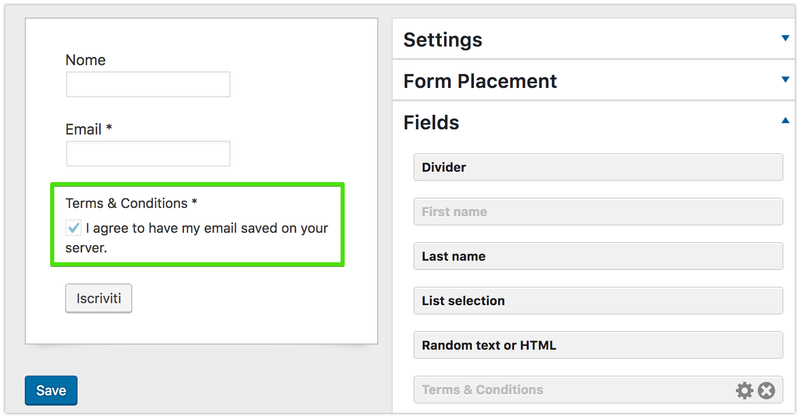 In this example, we're going to create the checkbox field to ask the user if they agree to have their email saved on our server. 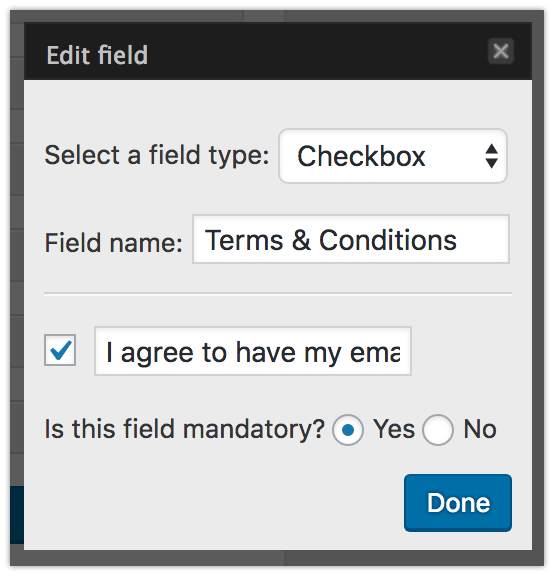 You should set it as a mandatory field, so the user won't be able to subscribe if they do not voluntarily check this option. Just save it and it's done!